CR and FC have sensationally dropped their highest point scorer of the Dialog Inter-Club League Rugby Tournament, Tarinda Ratwatte from the squad preparing to face Havelock Sports Club tomorrow (19). Daily Mirror understands that the decision has been made due to disciplinary issues and Ratwatte has opted not to attend practices anymore leaving his future at the club in serious doubt. According to a source close to the Longden Place Club, Ratwatte had been hurt by the management’s decision to start him on the bench against Police Sports Club. Ratwatte arguably the best fly half in Sri Lanka, was the star player for the Red Shirts especially in the first round where he won them few matches with some breathtaking performances. However, the sources revealed that his attitude has upset some of his teammates in the recent weeks. Ratwatte was to lead the team in the absence of first team Captain Kavindu Perera who is suffering from an injury to his foot but the management deciding to name number eight Omalka Gunaratne as the captain is a clear sign that CR and FC were losing patience with the former Trinity College Captain. “I don’t want to disclose any information with regard to this matter,” Ratwatte refused to comment on being stripped of captaincy. 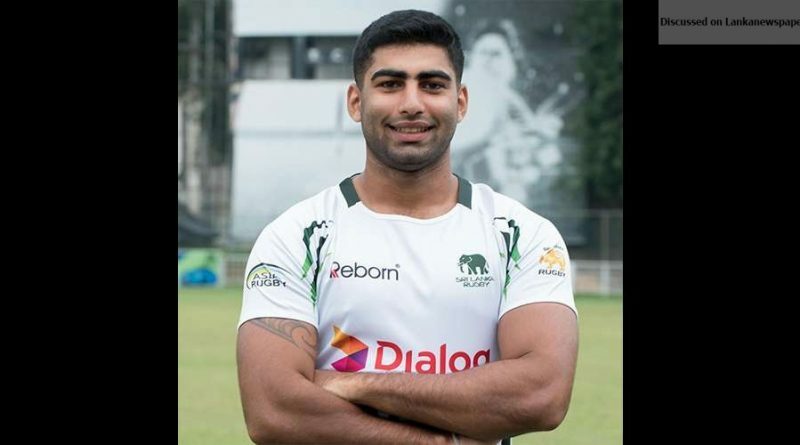 With Ratwatte’s future at Longden Place looking bleak, the fly half could be a top option for many clubs including the reigning champions Kandy SC who may consider a move for the home town boy lining-up a possible replacement for aging Nigel Ratwatte. ← Forewarned about the advent of a Romeo!